This question is for testing whether or not you are a human visitor and to prevent automated spam submissions. Please note that your entry is case sensitive. 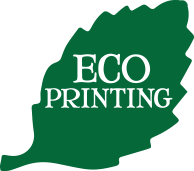 We are committed to environmentally responsible printing practices. These practices allow us to reduce waste and prevent pollution throughout the entire printing process! For more information see our Eco-Printing link under the About Us tab. © COPYRIGHT 2013 TIMES PRINTING COMPANY. ALL RIGHTS RESERVED.